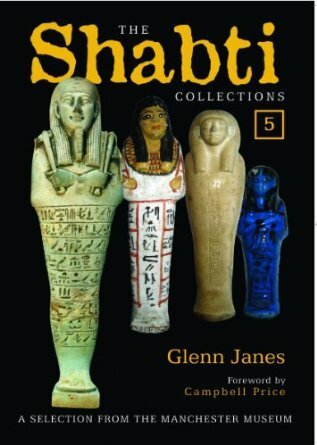 The last volume of the magnificent series The Shabti Collections is dedicated to the huge set of these particular funerary figurines held at the Manchester Museum. The author, Glenn Janes, a significant scholar on this subject, considers this work as one of the most important of the series. The volume begins with a foreword by Campbell Price, Curator of Egypt and Sudan at the Manchester Museum, telling the previously unknown history of the collection in the nineteenth century. The preface includes a brief historical outline of shabtis explaining the origin, meaning and typology of these fascinating pieces. With 500 full-colour pages, the book covers a wide selection of shabtis (522) arranged in chronological order and divided into historical periods. Each shabti has a complete dossier including museum number, name and title of the owner, date, material, size and provenance. In addition, all figurines are illustrated with high quality full-colour life-size photographs showing each piece in different positions (front, profile and back), giving a realistic and detailed survey of the object. Every shabti-file also includes a full description, a comprehensive list of references and sources related to it and hieroglyphic inscriptions with the corresponding transliteration and translation. The information on each piece is completed with details of known similar examples located in different collections around the world. The bible of funerary figurines is the now out-of-print three volume text Shabtis, by Hans Schneider, but this new series compares well with it and all who love shabtis should have a copy of this new catalogue of the masterpieces of the Manchester Museum. Nacho, an occasional contributor to AE, is a Spanish Egyptologist who has a particular interest in shabtis. He is also a broadcaster and film maker and the former editor of a Spanish archaeology magazine. A fascination for exotic Ancient Egyptian style has had a long-lasting and deep-seated influence on British culture, in particular on iconic architecture. 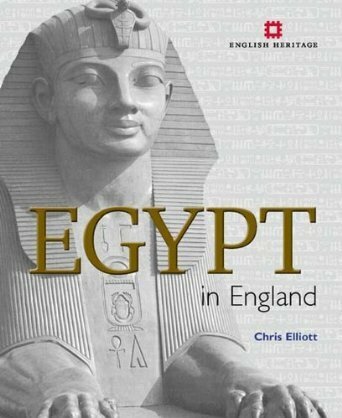 This is a detailed guide to the use of the Egyptian style in the architecture and interiors in England. Author Chris Elliot spent ten years tracking down a wide range of examples of Egyptianisation from the last three centuries, including: a linen mill where sheep used to graze on the roof; England’s only Egyptian style synagogue; a mobile mausoleum; cinemas; offices; a Masonic Temple; and a DIY superstore. The book is beautifully set out with a clear coherent index, excellent architectural glossary and some helpful notes on Egyptian gods and goddesses. Section one, entitled “Understanding Egypt in England” comprises seven short essays taking the reader on an historical journey from the earliest Egyptian architect Imhotep, through to the classical era and Middle Ages, including a potted history of the rediscovery of Ancient Egypt by early travellers, adventurers and archaeologists. Section two, covering various areas of the country, catalogues each Egyptianising structure, including a well researched detailed description, location and visiting information, illustrated with good quality photographs. This is definitely a book for anyone wishing to learn more about how the Ancient Egyptians inspired English architects and the general public over a wide expanse of time. If there is one downside to this volume, it is its weight and size; a smaller pocket edition would be advantageous to the traveller. Christine is the Chair of ANKH, the East Kent Egyptology Society; she has undertaken post-graduate research, museum work and has taught Egyptology for the Worker’s Education Association (WEA) . She is now ‘spreading the word’ to the University of the Third Age (U3A). The treasures of Tutankhamun are well known to us today but the footwear found in the tomb of the boy king has not benefitted from a thorough examination until recent years; this publication presents the results of this analysis in a readable, though detailed, manner. The first part of the book looks at footwear found in the tomb of King Tutankhamun, whilst the second part compares the finds of KV62 with other discoveries found in the tomb of Yuya and Thuya (KV46) and footwear found at the village of Deir el- Medina. The publication also looks at Egyptian footwear as depicted in Egyptian art and reliefs, with a great emphasis being placed on the carvings of the nobles’ tombs at Amarna. In this way an overview of Egyptian footwear, as used in the New Kingdom, is presented to the reader in the final chapter. The surviving sandals and shoes are studied in some detail, looking at both their decoration and construction techniques, and it is here the book really comes into its own, with a large number of remarkably clear full colour photographs depicting the footwear as it survives today, in many cases highlighting important details of their construction. Drawings are used to show the methods employed to construct the footwear and artist reconstructions show what the items would have looked like when worn in their original condition. Tutankhamun’s famous marquetry veneer ‘Enemies of Egypt’ sandals are discussed, using many illustrations to show the intricate details of their design, as are several other, lesser known, stunningly beautiful beadwork sandals which have previously not received the attention they deserve. It is interesting that the ‘pink film’ which covered much of the boy king’s tomb soon after its opening is here attributed to the chemical decomposition of the rawhide leather which formed a substantial part of many of the sandals and other leather artefacts placed within the tomb. 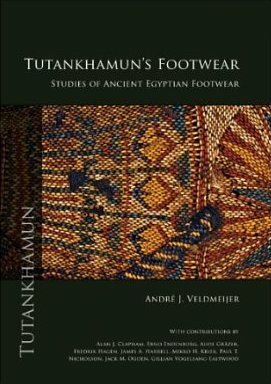 This publication serves as an excellent addition to our knowledge of New Kingdom footwear and I believe it will remain the standard reference work on this subject for many years to come. Arsinoë II Philadelphus (c. 316 BC - 270 BC), ruled Egypt with her brother- husband Ptolemy II Philadelphus. Deified in her own right, she was worshipped by Egyptians and Greeks alike and was closely involved in establishing the cult of the Ptolemaic royal family. In this volume, Maria Nilsson reassesses this queen through the detailed research into one key iconographic feature: her crown. Arsinoë’s distinctive headdress was composed of rams’ horns, a double feather plume, the red crown, cow horns and a solar disc, and was created specifically for her to set her apart from other royal women and female deities (although it was later reused by Cleopatra III and Cleopatra VII). Nilsson’s research concentrates on thirty-six Ptolemaic reliefs on freestanding stelae and temple walls, which are each fully catalogued and illustrated. She deconstructs the crown to analyse the form and symbolic value of each iconic component, and how the crown’s depiction developed and varied over time. 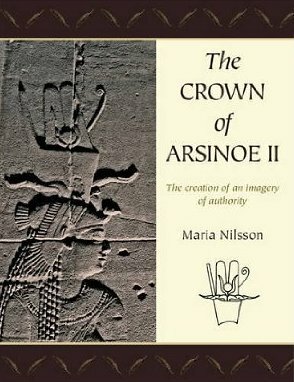 From her analysis, Nilsson concludes that Arsinoë II was considered to be a female pharaoh by the Ancient Egyptians, and as King of Lower Egypt, of equal status to her brother Ptolemy II, the King of Upper Egypt. She was High Priestess of Amun and God’s Wife, equivalent to the previous Divine Adoratrices of Amun. Her worship as a goddess took place as part of several different cults, as a living and ruling pharaoh, as a divine daughter of Amun, and after her death as a divine ancestor. With this evidence, the author argues Arsinoë II should be included in the official pharaonic king list as Ptolemy II’s co-regent, and that her royal authority, as powerful as that of Hatshepsut, Tausret and Amenirdis II, makes her one of the most important women in Egyptian history. by Edward Bleiberg et al. Votive animal mummies are the most numerous Ancient Egyptian artefacts, with more than four million individual ibis mummies and seven million mummified dogs found at Saqqara alone. 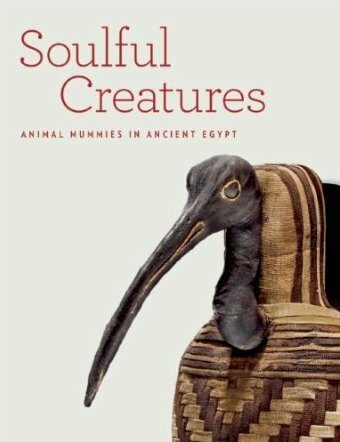 This beautifully illustrated book, featuring examples from the Brooklyn Museum’s collection, sheds new light on the uniquely Ancient Egyptian practice of animal mummification, with essays discussing how the Ancient Egyptians viewed the animal world, the spiritual role of animals’ souls as divine messengers, the social and economic impact of the mummification industry and the scientific analysis of animal mummy material using CT scans, X-rays and carbon-14 dating. A short bibliography follows an appendix exploring earlier (pre-Late Period) examples of animal embalming which may have been precursors to the later animal cults.